On the eve of my departure from Portland I lay awake thinking about everything that has happened since our arrival. I was feeling incredibly sad that I would be leaving Dallas for two weeks, but at the same time I was excited to go back to New Orleans and hopefully recover a bit financially. My alarm clock rang to wake me up before I ever fell asleep. It was going to be a tiresome trip. 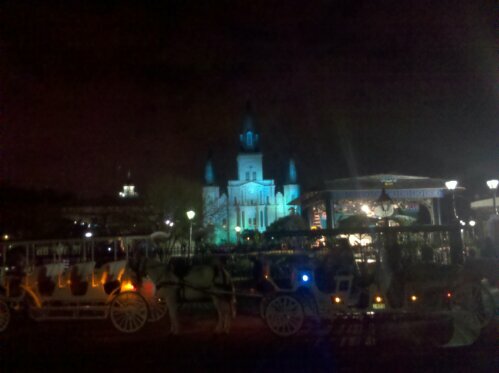 New Orleans was colder than I would have liked it to be, but the spirit in the city was just picking up for the Superbowl and Mardi Gras. I came just at the right time to start pedicabbing at the height of the tourist season. It did warm up considerably after a few weeks, and Dallas joined me for a month before going back to Portland. I had planned to fly back to Portland on the same day as Dallas, but I ended up passing up my flight to stay longer and enjoy a visit from my dad. My pedicab license actually expired on my birthday, so instead of pedicabbing in New Orleans, I carpooled with my friend Ryan over to Austin, where my pedicab license was still valid for another year. Austin was warm and sunny during the days, but dropped to cooler temperatures once the sun disappeared for the night. I arrived a few days before SXSW, the festival that attracts thousands of people to the city each year. I didn’t want to work as hard as I had last year, but I needed to work enough to make up for the expense of being there. At this point, I had bought another plane ticket to go back to Portland and see Dallas, but it was three days before the festival ended, and I would have had to miss out on two of the best nights for pedicabbing. I also wasn’t looking forward to leaving the lovely weather to go to a place where I would be mostly alone, unemployed, and uncomfortably cold. I decided at the last minute not to take my flight, and instead stay in Austin until the end of March. After SXSW was over, I got in touch with my friend Dainy (D), another nomadic free spirit who showed up both in New Orleans and Newport while bouncing around between other various locations. She had been in Austin for SXSW and was planning to drive to Mexico that day with her roommate, John, from New Orleans. After thinking over her invitation for a few minutes, I decided to join them. A few hours later, the three of us were driving south in her car, headed for Monterrey. We arrived around 4am, where Perla, a couchsurfer in Monterrey, so kindly let us stay on her couches. She even made us pancakes and drove us to the airport in the morning, where we caught a discount flight to Cancun. 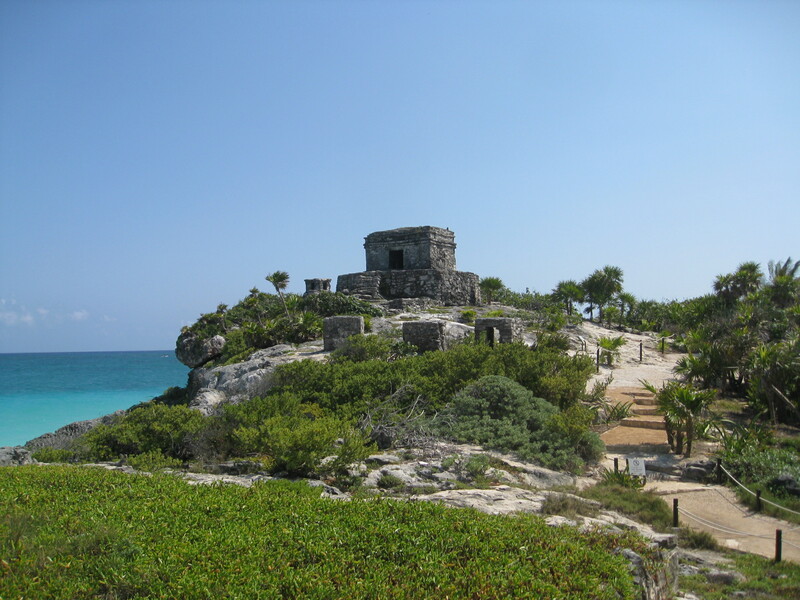 From there, we took a bus to Playa del Carmen and spent 4 days exploring beaches, cenotes (underwater caves), and Mayan ruins in Tulum. D’s friend from Mexico City, Stephen, joined us in Playa and introduced us to some of his friends as well. Once back on the bus to the airport, D decided to stay in Mexico and actually stopped the bus driver to get off at the next stop. 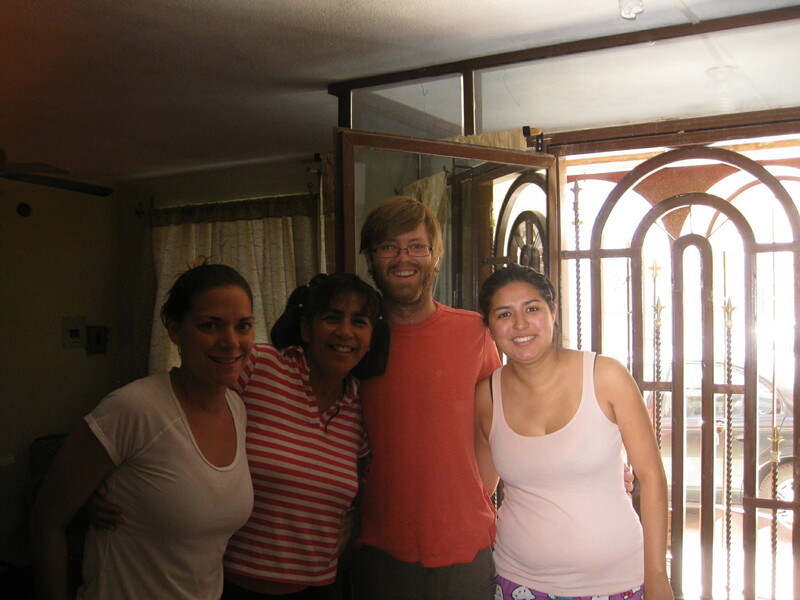 Back in Monterrey, John and I were met by Karina, another couchsurfer that D had arranged to host us. Being the only two ‘gringos’, she easily recognized us and took us to an awesome barbecue at her friend’s house. This was the most memorable night of my time in Mexico, since it was more authentic than eating at a restaurant in a tourist town, and the people were amazingly welcoming and friendly. I still find it amusing that Mexican meals always seem to include the same foods, and this barbecue was no exception. Tacos made with fresh corn tortillas, meat, cheese, and spicy salsa. We stayed at Karina’s house that night, and her mom fed us breakfast (similar to the barbecue, but with eggs too) the next morning before we drove back to Austin in D’s car. Driving back, the line at the border was so long, and the sun was so hot, that the car overheated and the radiator leaked. We noticed this after smelling something burning and seeing smoke rising from the hood. Mexicans are very resourceful, and there were plenty of guys walking around all the cars waiting in line, selling various goods. I kind of wanted to ask if any of them were handy with fixing overheated car engines. We eventually made it to the front of the line, but had to keep turning the engine off and back on again to move forward a space (people would cut us in line if we left more than half a car’s length of space between us and the car in front). I think border crossings should all be at the bottom of a slight decline, so cars can all turn off their engines and coast down the line. Either that, or do something to make the line move faster! The officer who inspected our car did not seem surprised that our engine had overheated, nor did he offer any help with our situation. We did manage to find a shaded area to park once we crossed into Laredo, and after letting the engine cool down I was able to refill the coolant without it leaking again. A mechanic at Sears told us that it’s very common for cars to overheat while waiting at the border. I think there has got to be a solution to prevent this from being a common occurrence. I enjoyed the warm weather and company of friends in Austin for a few more days before flying to Providence to visit family for a week. I also reconnected with some good friends from home and started to get back into a regular running routine. I finally flew to Portland at the beginning of April to be back with Dallas. Apparently the weather wasn’t so bad while I was away, but the city greeted me with cold weather and persistent rain upon my arrival. 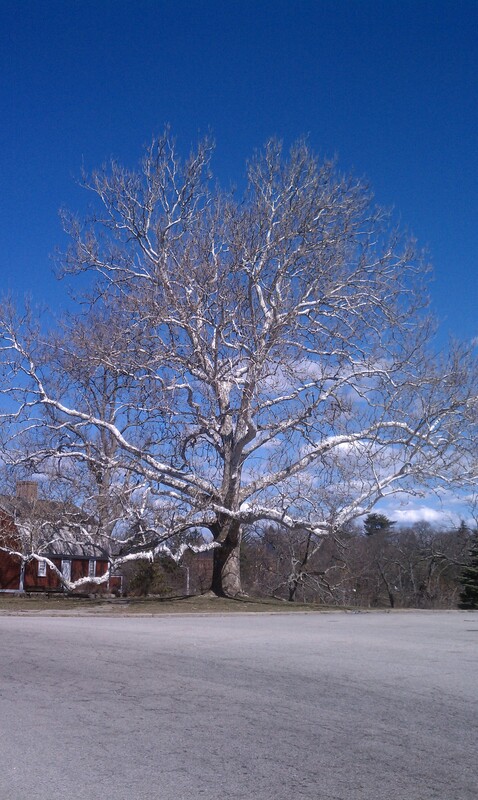 That’s just when it started to warm up in Rhode Island too! While we were in New Orleans, Dallas and I applied for and accepted jobs as bicycle tour guides in Skagway, Alaska. We will be leaving Portland at the end of April to spend the summer in Alaska. Our plan after that is to head south by bicycle towards Patagonia, with likely stops along the way to work and recover financially. Posted on 6 April 2013, in New Orleans, Rhode Island, The space between and tagged Austin, bicycle, bicycles, mardi gras, New Orleans, NOLA, PDX, pedicab, pedicabber, pedicabbing, Portland, Providence, super bowl, sxsw. Bookmark the permalink. Leave a comment.